If you are one of the millions of happy Nintendo Wii owners, how would you like to take your game to the next level? The Optoma GameTime GT360 is a projector you won't want to miss. The GT360 is meant to be paired with Nintendo's Wii system, and it proves to be a very good match indeed. With a bright and dynamic image and street prices under $600, it is an affordable way to bring your video gaming experience to the big screen. Its 800x600 resolution is more than enough for the console. And its short-throw lens is ideal for the Wii's dynamic play mechanics, compared to the more sedentary sort of use one might see on other consoles. Image quality. What the GT360 brings to the table is the big screen experience. Since the Wii is a standard-definition console, there's no read need to go out and buy a new video system - it will work perfectly with your current television. But when you're playing a party game on a 30" television, something gets lost in the translation. If you've ever played four-player split screen on a regular television, you'll know what I'm talking about. Each player is relegated to a tiny corner of the screen, and then everyone is forced to sit back far enough to accommodate the others. Quite frankly, this isn't fun. The GT360 solves this problem by putting a big, bright, beautiful picture on your wall, which is a vastly more enjoyable experience when you have some friends over to play games. Everyone can see what's happening, and the big picture experience makes the games feel more immersive. Light output. Many people like to play video games with some ambient light in the room, either so they can see their controller or so they can see their friends. The GT360, rated at 2500 lumens, is perfect for this sort of use. Our test unit measured 2193 lumens in its brightest mode. This is more than enough to light up a 100" 4:3 screen, even with significant room lighting. Heck, if you have the room for it, there's no reason not to go for a 120" or 150" diagonal screen. Just remember that you'll need to stand further back as screen size increases, as getting between the projector and the screen will cast a shadow. We're going to talk about this a little bit later, but here's a note on placement. For a 100" diagonal screen, the projector needs six feet of space from lens to screen. So, if you're in a small 10' x 10' room, a 100" screen is about as big as you can get and still have room to stand behind the projector. You can of course stand off to the sides, but the Wii's controller requires line-of-sight contact with the sensor bar, so extreme off-angles won't work very well. If you don't play video games with the lights on, or simply don't want a picture that's quite so bright, you have several options to reduce the projector's light output. Game mode measured 1767 lumens with the lamp at full power. 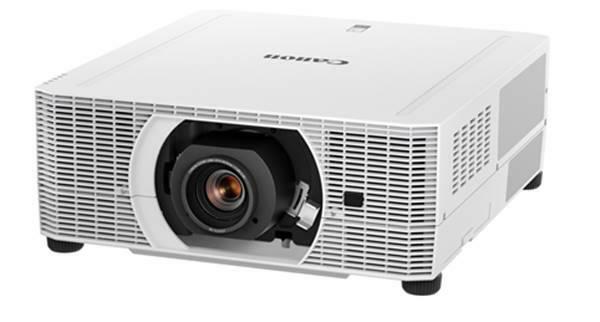 Cinema mode, which has a warmer color balance and more open mid tones, measured 1121 lumens. And dropping the lamp into eco-mode reduced lumen output in all modes by 10%. There's also the matter of BrilliantColor. As on many DLP projectors, BrilliantColor on the GT360 boosts highlights without affecting the rest of the image. By default, it is set quite high - Bright and Game modes are both set to 10, the maximum. If you wish to further reduce lumen output, a single step reduction in BrilliantColor can reduce light output by, on average, 8%. However, if you are concerned about the overall balance of the picture, don't be. We tested the GT360 extensively with several different Wii games, and we never felt that the BrilliantColor highlight boost had an adverse effect on picture quality. Some people won't care for it though, and it can be disabled if desired. This projector is great if you like playing retro games. Compared against a 1080p BENQ W1100, it doesn't pulverize standard definition graphics from my Super Nintendo and N64. Goldeneye on the big screen. YES!